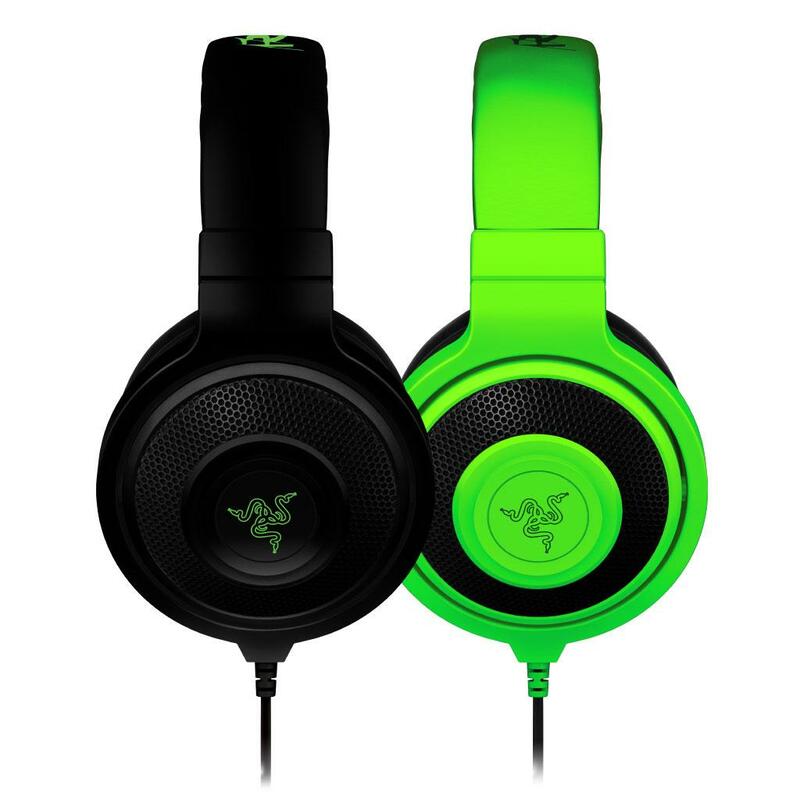 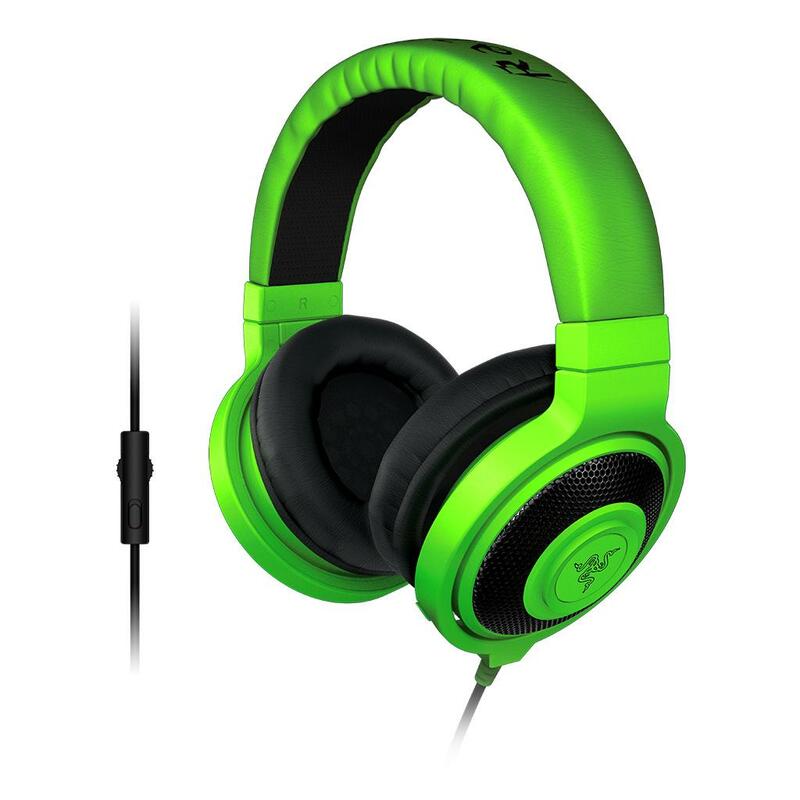 The Razer Kraken Pro gaming headset has been field-tested by countless pro-gamers and athletes to determine the optimal weight for extended gaming sessions as well as for unparalleled comfort on the go. Made with an in-line remote, the Razer Kraken Pro allows you to control the volume and mute the microphone without fumbling with external apps. 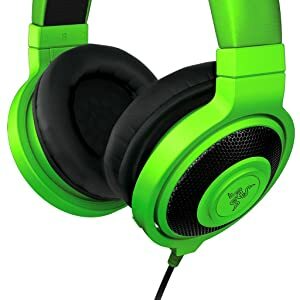 The fully retractable microphone boom not only pulls out from the left ear cup as and when you need it, but its flexible design gives you the freedom to adjust it to your exact needs, so it’s always in the best spot whether you are giving strategic commands or making a quick call to your friend. 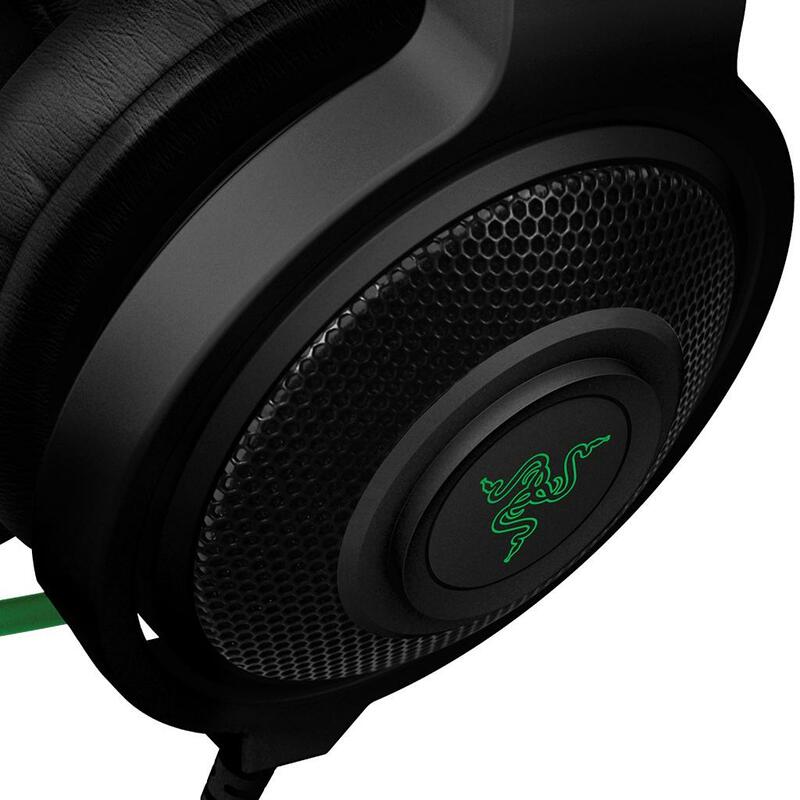 The Razer Kraken Pro’s large 40 millimeter neodymium magnet drivers are tuned for clear high- and mid-ranges as well as deep bass for powerful lows. A closed ear cup design with plush circumaural padding creates superior sound isolation so you can focus on your game or conversation uninterrupted by outside noise. 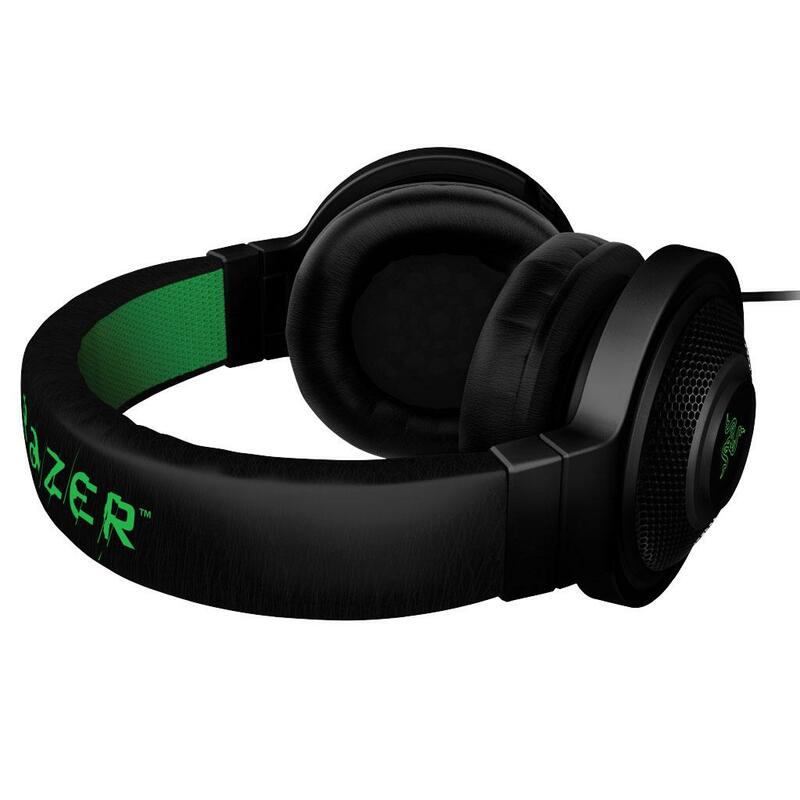 The ear cups of the Razer Kraken Pro are foldable, making the footprint of these full-sized headphones extremely compact for maximum mobility so you can take them along anywhere you go. 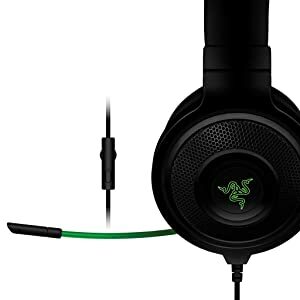 An extension splitter cable is provided allowing for those that have a desktop PC or laptop that uses separate audio output and microphone input ports. 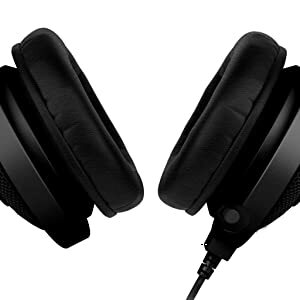 The integrated audio/mic splitter adapter enables dedicated microphone input and audio output. The Razer Kraken’s 3.5 millimeter combined audio jack is compatible with any device that accepts a 3.5 millimeter input, allowing use across multiple devices.